Ford is developing a Level 4 self-driving vehicle -- without a steering wheel or gas and brake pedals -- for use in a ride-sharing service in 2021. 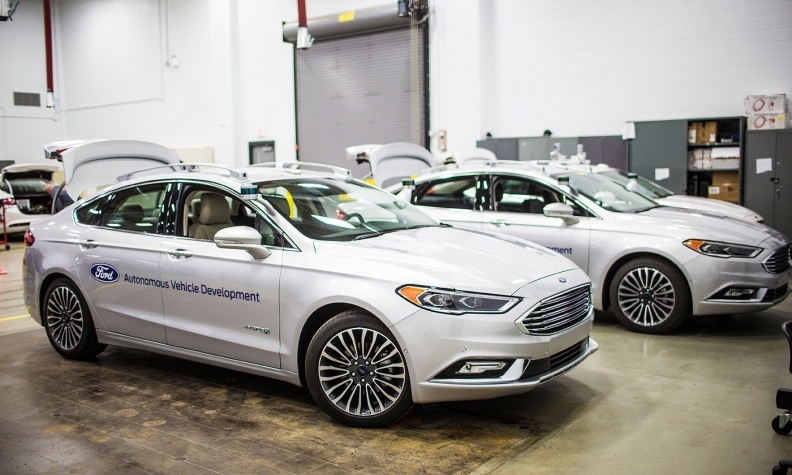 DETROIT -- Ford Motor Co.'s head of research believes the general public won’t be able to buy a fully autonomous vehicle until sometime between 2026 and 2031. The automaker is developing a Level 4 self-driving vehicle -- without a steering wheel or gas and brake pedals -- for use in a ride-sharing service in 2021. 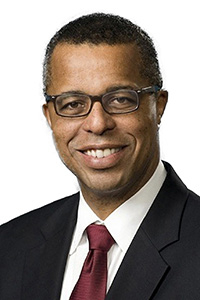 Ken Washington, Ford’s vice president of research and advanced engineering, said sales to individual consumers likely won’t happen until five to 10 years after that first fleet implementation. That’s a more conservative timeline than what has previously been suggested by CEO Mark Fields, who has said the automaker would offer robot cars to consumers by about 2025. Despite the slow rollout, Washington said self-driving cars will be a reality. Ken Washington: "It's really hard to guess and predict the pace of the technology." The automaker is looking to autonomous vehicles and other new mobility technologies to help solve societal problems, such as increasing congestion, worsening air quality and changing consumer attitudes. Washington said Ford is using advancements in computing, brain-machine interfaces and data and analytics to help make that happen. The automaker recently agreed to pay $1 billion over five years to tech startup Argo AI for the development of its autonomous vehicles. It’s also working with companies like in LiDAR-maker Velodyne; 3D-map maker Civil Maps; machine vision company Nirenberg Neuroscience and computer vision and machine learning company SAIPS. Traditional automakers are facing increased challenges from Silicon Valley startups and tech companies such as Uber, Lyft, Google and Apple in the race to develop autonomous cars. Washington said the auto industry is up to that challenge.